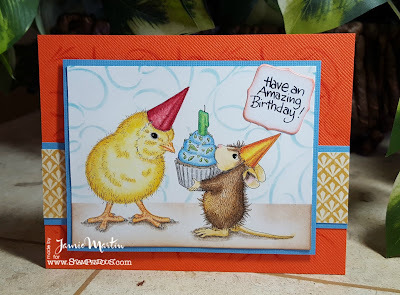 Here's my last Birthday card for the week, another cute House Mouse stamp from Stampendous. I added the background with a stencil for interest, I like how it looks like wallpaper. 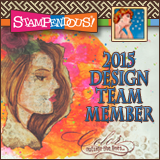 You can get Free Shipping through August with any order of $50 or more over at www.stampendous.com Use Promo Code TEAM717 at checkout. 1. 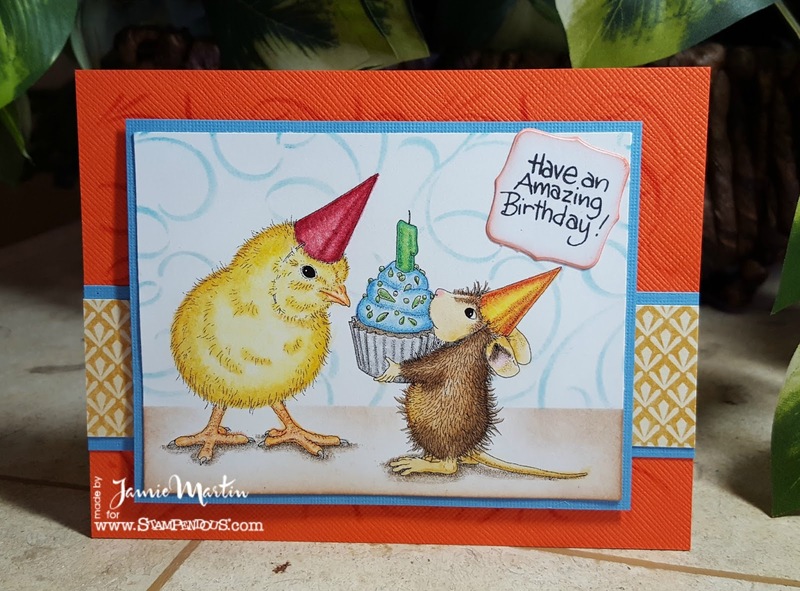 Stamp Birthday Chick on a white panel with black ink and color with watercolor pencils, then shadow with Prisma pencils. 2. Mask the top of the stamped panel with paper and sponge with Antique Linen ink being careful not to sponge the image. Now cover the bottom portion of the panel, place the Flourishes stencil over the panel and sponge with Tumbled Glass ink being careful not to ink the images. Layer onto a larger Winter Lake colored panel and set aside. 3. Glue a strip of Graphic 45 paper to a larger strip of Winter Lake paper. 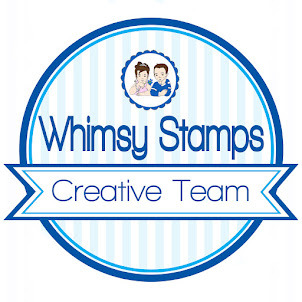 Glue this to and orange card that has been stenciled with the Flourishes stencil and sponged with Fired Brick ink. 4. Pop up Birthday Chick on card with foam tape. 5. Stamp sentiment from Friend Wishes Perfectly Clear Set on a frame diecut with Fitted Frames A Set, with black ink. Sponge the edges with Mandarin ink and glue to card. So cute! Love the House Mouse Designs. Very cute. I like the stenciled background. This is so pretty and cute! I love the colors that you used. Nice and vibrant. Unlikely friends share a special day. thanks for sharing a sweet party. 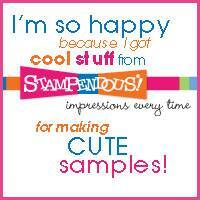 This is my favorite stamp lately and I haven't gotten it yet!! Will use your perfect coloring as my inspiration when I do!! 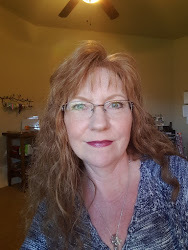 Gorgeously done!